Aspic Technologies provides realtime audio solutions for virtual reality, 360 videos and video games. We help our customers to create outstanding audio immersion with innovative audio middleware products and professional services. Sound propagation is simulated thanks to the geometry and the materials of the environment. Sound is then processed with proper reverberation, echo and occlusion. 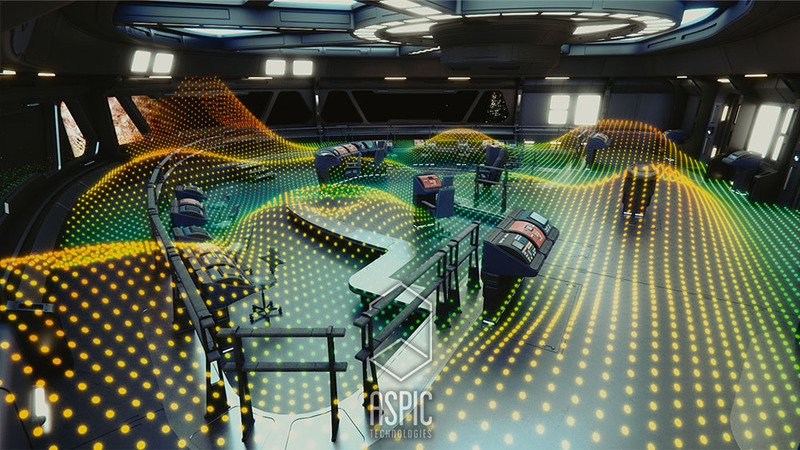 CinematicVR by Aspic Technologies is a comprehensive software suite aiming at best spatialized audio in 360 videos. 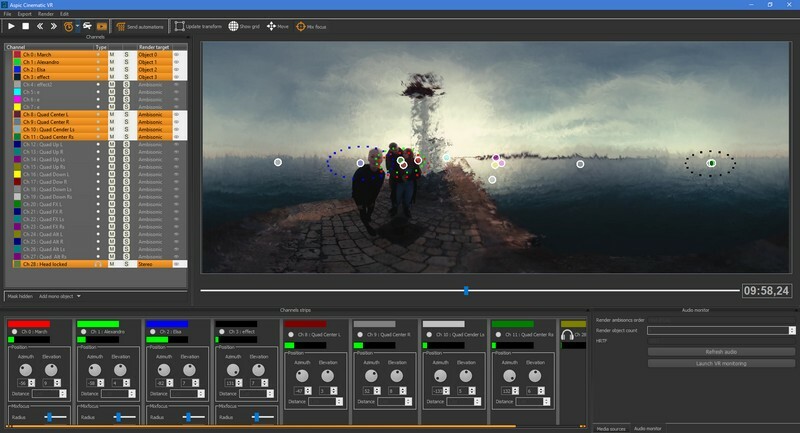 Discover how it helps you create a spatialized mix, encode 3D audio to many formats and provides realtime 3D audio playback on any device. Our middleware products are provided as SDK with native APIs and plugins for tools such as Unity3D and Unreal Engine. Our expertise covers a wide range of software and hardware audio challenges. We are able to handle specific needs and to provide custom solutions. For immersive VR systems, game engine integration or custom features, feel free to contact us !